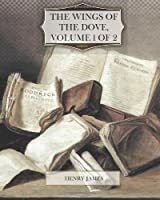 The Wings of the Dove is a 1902 novel by Henry James. One of the masterpieces of James' final period, this novel tells the story of Milly Theale, an American heiress stricken with a serious disease, and her impact on the people around her. Some of these people befriend Milly with honorable motives, while others are more self-interested. Excerpted from Wikipedia, the free encyclopedia.